I apologise for going slightly off-topic, but I wished to add a short personal testimony about Roberto's 'habits'. When my wife went to Poland with a film crew nearly a year ago and Roberto claimed he was going to meet her at one of the Reinhardt camps [I forget which off hand] only for her (and the rest) to get stopped, detained and deported by the Polish police who knew she was coming, knew where she was going, why she was going there and more precisely her name [the former three things are ones that Roberto was one of the only person outside of our family and those we employed to knew about it (whom I have good reason to trust)]. Roberto also made an attempt to claim she 'threatened him' (specifically when he claimed that she was 'going to get him beaten up by skinheads') and our attorney advised her after reading his message that he was angling for a dubious comment or two for him to sue her (as myself and my wife are not poor). Roberto then claimed she didn't show and that he had won the bet/challenge. You can't prove it was him tipping off the Polish authorities, but it is one of those bits of circumstantial evidence that are suggestive as opposed to conclusive. 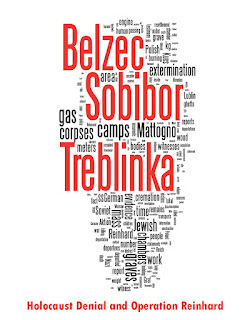 These claims are obviously related to my trip to Sobibor from 14 to 16 October 2008. On 15 October I was supposed to meet there with my old friend Greg Gerdes and with a lady who posted on the VNN thread Archaeological Investigations of Treblinka as "Eireann Goddess" (hereinafter "EG"). This lady is obviously the "wife" that "Karl Radl" is referring to. Neither Gerdes nor EG showed up for our appointment, as I pointed out in my VNN post 1525, written on 16.10.2008 from Wlodawa, Poland. Boy, someone would have to be really really stupid to actually think that I would go to Europe after what happened to Toben. But wait, slamin sam is really really stupid. EG, whose last message prior to my trip to Sobibor was her post 1499 (to which I responded in my post 1506), didn't give any reasons for not having shown up. In fact I never heard of her again. Neither in EG's aforementioned post nor in any previous post that I remember did EG reveal her identity, so it's a mystery to me how I am supposed to have known her name, as "Karl Radl" claims. As becomes apparent from the above-quoted post, and as can be confirmed by the persons I left word with before departing, I did not know EG's identity at the time. I still don't. So there's no way I could have reported her to any Polish authorities, even if I had known what authorities to turn to and what to report to them, and if I had the inclination to hide from an appointment behind authorities (which, unlike Greg Gerdes, I don't have). 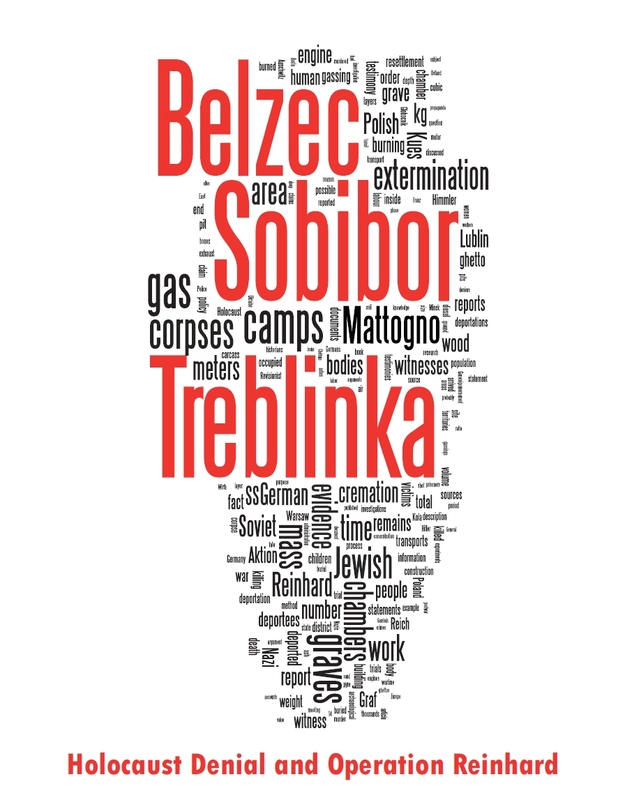 As to EG’s supposed travel itinerary, all I knew was that "We will be near Sobibor on the 15th. ", as EG had claimed in her post 1482. All this suggests that KR is either lying or was lied to by his wife, if indeed EG is his wife. That would have been the time for EG to claim that she had been held up and turned back by Polish authorities, if indeed such had happened. But the lady’s silence was deafening. So the story that her supposed husband all of a sudden comes up with now, about 18 months after my trip to Sobibor, carries a distinct smell of fish, to say the least. The more of our readers sign it, the bigger the chance that it will one day go where it is meant to go.